In this Dahon Vigor P9 review we’re going to show you that you don’t need to spend an absolute fortune to get a high performing folding bike. With this in mind, Dahon have set about creating a folding bicycle that is as efficient off-road as it is on the road. The first impression we had after unboxing the Dahon Vigor P9 was that it has an incredibly clean and sleek design. It has internal cabling to keep it looking tidy, a minimal paint job and a smooth aluminium frame. 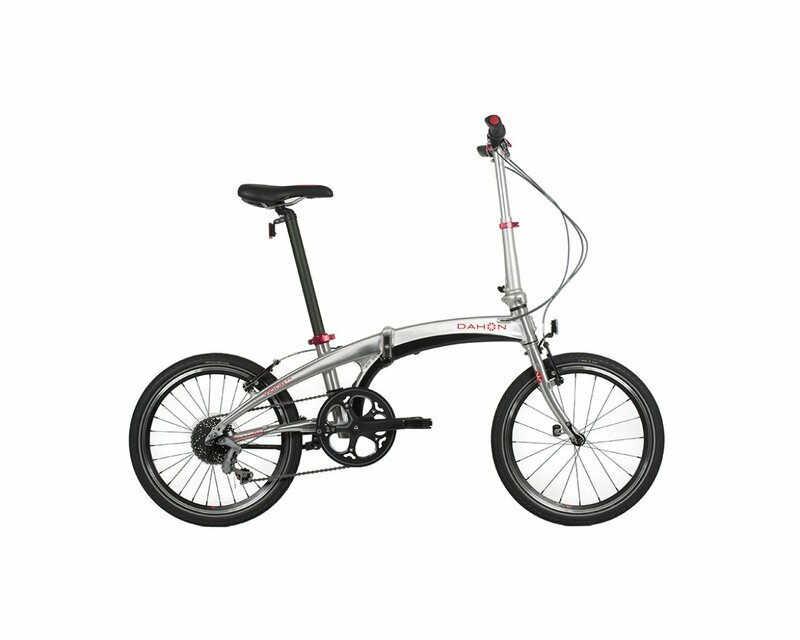 This folding bike is definitely a head-turner! Another great thing that we found with this bike is that it didn’t really need any tuning work from our mechanics, meaning that it’s good to go straight out the box and you won’t have to pay anyone to take a look at it before you ride it! This also means it’s the perfect purchase if this is your first folding bike. We were able to fold and un-fold the bike in under 15 seconds, too, which is a lot quicker than the 23 seconds industry standard. Now we’ve got the introduction to the Dahon Vigor P9 out of the way, we thought it appropriate to start with the folding mechanism. Dahon have really hot a home run with this mechanism, making the bike have such a smooth ride. The sleek silver hydroformed frame ensures that there is very minimal vibrations when you ride on any type of terrain. The stock 20” Schwalbe Marathon Supreme tires are also incredibly sturdy, providing excellent grip. Another great feature of this bike is that it boasts a Dahon Neos Derailleur, which are renowned for their reliability and smooth gear shifting. 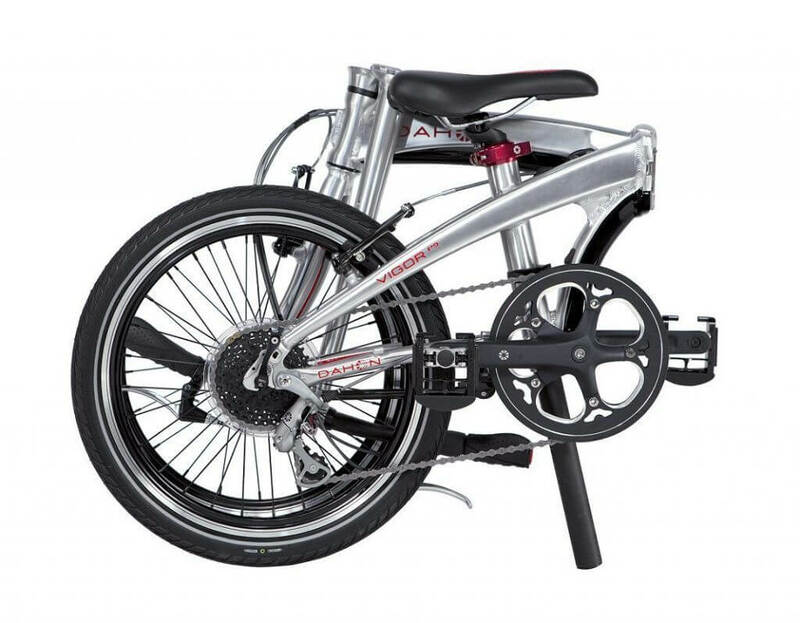 You’ll never need to worry about your gears jamming while riding this folding bike! No compromises have been made at all by Dahon when creating the Vigor P9. It handles incredibly well on all terrain and climbs steep hills really well thanks to the fact it has 9 gears. Sure, it doesn’t have the amount of gears than many folding bikes have (20+), but we often find that they are often surplus to requirements and we never found that we struggled with even the steepest of hills. Weighing in at 25.7 lbs (11.7 kg), the Dahon Vigor P9 isn’t the lightest folding bike, but due to it folding down to an extremely manageable size, it never feels heavy when you have to carry it. The Dahon Vigor P9 is an incredible folding bike, regardless of the price. You get a lot of bike for the money with this model and this is just one of the reasons as to why Dahon are dominating the folding bike space. While the bike isn’t cheap, it is very affordable, considering the high specification options it comes with as standard. We feel confident in recommending this folding bike and think that there aren’t too many bikes that can compete with the Dahon Vigor P9 at this price point.